In a sea of blonde hair, fair skin, and size zeroes, this California girl really stands out. She’s proud of her hourglass curves, dark hair, dark eyes, and striking features. At age 27, Kim is a successful fashion stylist, and whom many have termed, one of the Hollywood "It" girls. She also co-owns a designer clothing boutique in Calabasas called "Dash," with two of her sisters Kourtney and Khloe. Most fans know Kim and her family now, through their highly successful E channel's 'Keeping up with the Kardashians.' The reality show is in its second season at the moment and going strong. Kim always looks healthy and glamorous. We were anxious to take a peek inside her make up bag. And Kim was happy to share some of her favorites. Looking at Kim on the red carpet, one would instantly notice her kohl-rimmed dark brown eyes and olive skin. She also has great, natural eyebrows. She doesn’t sport the overly-plucked L.A. brow. But Kim’s lips are really the feature she pays attention to. "In my make up bag, I always have MAC blush in ‘Pink Swoon,’ along with their travel size blush brush. A MAC lip liner in ‘Stripdown,’ with MAC lipstick in ‘Angel.’ And Nars lip gloss in ‘Turkish Delight.’"
Her blush, lip liner, lipstick, and lip gloss are all in the soft pink range. Nothing strong or too bright for her lips. As far as the one beauty item she could never live without, that’s the Nars lip gloss in ‘Turkish Delight.’ Kim isn’t alone in her praise of Nars. Many women call it the best lip gloss around, although not at the cheapest price, either. And it comes in a luscious array of shades. The ‘Turkish Delight,’ is described as pink sorbet, or better yet, a strawberry milkshake. The color is that pretty and soft. These two products can’t fit in a make up bag, but we were curious how Kim keeps her long, raven locks so shiny and healthy. She told us she is a big fan of these two shampoo lines: Clairol’s Herbal Essences and Pantene. For more on Kim Kardashian, visit: http://www.officialkimkardashian.com/. Dyeing your hair at home, shouldn’t become a case of ‘Weird Science.’ And yet, hair color disasters have happened to many of us. Highlights that turned orange. Permanent dye that resulted in brittle, split-end hair. Grays that wouldn’t take to the color. Or ending up with a shade you didn’t want. And so on. But now there is another way—a gentle permanent hair color that doesn’t damage your locks. In fact, it’s a genius hair color system. By a genius hair color expert with more than 20 years in the business. Robert Craig's hair color system is very kind to your locks. No peroxide. No ammonia. No alcohol. No perfume. Covers 100% of gray hair. All you have to do is add water. "The color does penetrate the hair shaft," Craig explains. "But does so, with no damage. 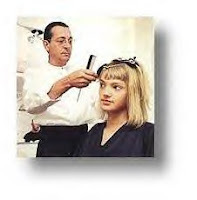 It does not change the internal structure of the hair as do peroxide dyes. There is no other product on the market like 'Color by Robert Craig.' Nothing compares. Most people find the color fades very little, but all color fades, even natural color changes with time." Craig is proud to say, that his color system protects the delicate protein structure of your hair. And it’s simple. Mix Color by Robert Craig with tap water. Shake. And you get a no-mess mousse, that is easy to apply. Zap your grays-- choose from 21 luscious shades---Golden Blonde, Medium Mahogany, Chocolate Brown, or Jet Black. These are just a few radiant shades offered by Color by Robert Craig. There are 21 inter-mixable shades available. His color will not lighten your hair, but Craig also sells an ‘Ultra Blonde Highlight Kit.’ It contains a very gentle approach to highlighting with ‘off-the-scalp’ blonding. It’s great for bleaching, highlighting, frosting, and streaking. What’s even more comforting, you can color, even if your hair is permed or chemically treated. Robert Craig has a very educational and award-winning website for women who are trying to deal with hair color issues and lousy hair days. If you have a question about hair, believe me, the answer is there. Just visit: http://www.robertcraig.com/. And see what the buzz is all about. You can purchase Robert Craig hair color at the website. He also offers accessories, like a color applicator brush set, shampoos and conditioners, styling products, and much more. Frustrated by those messy, teeth whitening strips? And how the strips never stay in place and make you foam at the mouth? Well, Arm & Hammer has come to the rescue. For an easier and quicker way to get that mega-watt smile, try Arm & Hammer's Whitening Booster. It's new and won't break your wallet. Just $4.99 for a 2.5 oz. bottle. It's debuting right now on food and drugstore shelves. Arm & Hammer's Whitening Booster is a peroxide gel and contains 2x more whitening agent than the leading white strip, when used as directed. 1. Wet your toothbrush and apply toothpaste as you usually do. 2. Squeeze the Whitening Booster on top of your toothpaste. The beauty of Arm & Hammer's Whitening Booster is its convenience, affordability, and effectiveness at whitening. Plus, it's enamel safe and not messy. Here's the bad news---there is absolutely NO way to get rid of cellulite permanently. The good news---we CAN reduce its appearance and STOP further advancement of this dimpled fat. Anushka, a world-renown cellulite pioneer for some 30 years now, has a secret tea that promotes beautiful skin and helps lessen the appearance of cellulite. (Dimpled fat can appear on thighs, buttocks, tummy, even arms). "Raspberry tea. It's wonderful for women in general," Anushka says. "In addition to acting as a diuretic which helps reduce bloating (leading to a slimmer silhouette), it also helps alleviate menstrual discomfort and cramps, reduces heavy bleeding, promotes healthy skin, bones, and teeth. And when combined with peppermint tea, can help with morning sickness." Raspberry tea is delightful to the palate. And Anushka says to drink it hot, or over ice with a leaf of mint. For more on cellulite, visit: http://www.anushkaonline.com/. Sandy Linter is a legendary makeup artist in New York City. From Eva Longoria to Christie Brinkley to Nancy Reagan, Sandy has created some of the most stunning magazine covers around the world. Last March, Sandy applied makeup to lovely bride and cover girl Elizabeth Hurley for her marriage to businessman Arun Nayar. Check out the photo(right) of Elizbeth Hurley. Just a beautiful sample of Sandy Linter's makeup magic. If you don't like wearing too much makeup, at least put on some blush. Blush warms up the face, and enhances skin and bone structure. Many women enjoy putting on makeup, but figure that foundation or base is enough, but it isn't. "I hate that poured on look," Sandy says. "Just base and no blush. Or just base and powder. It's kind of strange-looking. I think women do it to look tanner. Or darker. But it's too flat. You need highlighting on the cheek. A touch of blush is necessary. Without it, it kind of looks dirty, flat, and matte." You can check out Sandy's gorgeous makeup portfolio at http://www.bryanbantry.com/. Blame it on the tweezers, the waxing, or just plain genetics. If you're frustrated over your thin, scraggly eyebrows, help is on the way. Osmotics has developed a super brow/lash growth serum. Ladies, lay those tweezers down! That's step number one. And if you have an eyebrow technician who waxes your precious brows, well, walk away. No more waxing! Let your eyebrows go. Marie Claire Magazine has called Osmotics' FNS Nutrilash, one of its top 12 beauty breakthroughs. The all-natural formula is scientifically proven to stimulate the growth of healthy, strong eyebrows and eyelashes. One product that covers two important areas. Simply wonderful. A totally safe and effective product, FNS, stands for 'follicle nutrient system.' It's easy to use, too. Just brush or 'paint' on brows and lashes before retiring at night. FNS Nutrilash is a good investment at $38 for a full month's supply. For more info, visit: http://www.osmotics.com/. The Best Darn Hair Volumizer Around!!! Most women want big, shiny, luscious locks, but unfortunately, many of us are stuck with fine, limp, and sometimes, damaged hair. There are so many hair products on drugstore shelves and in expensive salons, that the choices can be overwhelming. But there is one product that blows away the competition. Think 'John Freida.' Some women buy this item in twos and threes at a time. It's not always easy to find this volumizer, because the entire John Freida line might not be carried there. The product is called, Sheer Blonde Full-Blown Blonde Volumizing Spray by John Freida. Quite a mouthful, but boy oh boy, this product rocks! No, you don't have to be a blonde to use it. The spray thickens and lifts hair for big volume. After shampooing and rinsing hair, towel dry a bit, and spray the product on your hair. Massage in. Then blow-dry for thick hair with instant sheen. The good news----it's not sticky. And it's gentle to colored or permed hair, too. It smells nice and really works. And for a 6.7 oz. bottle at $5.49, you can't beat it.